Nine twenty-five. That’s the time the sun was due to set today, here in the East of England. Sunrise was 4.35am (apparently – I was definitely not awake), giving us almost 17 hours of sunshine. It’s Midsummer’s Day, the longest day of the year. 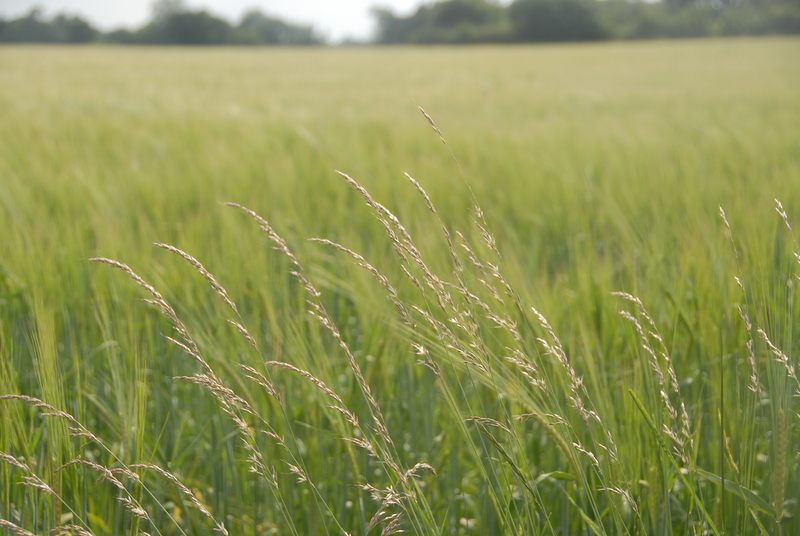 The last frosts are only a few weeks behind us, and the growing season is really just getting going. Yet here we are – half way through the year. From tomorrow, the days will start to get a little shorter again. Crazy, huh? It definitely felt like summer today. 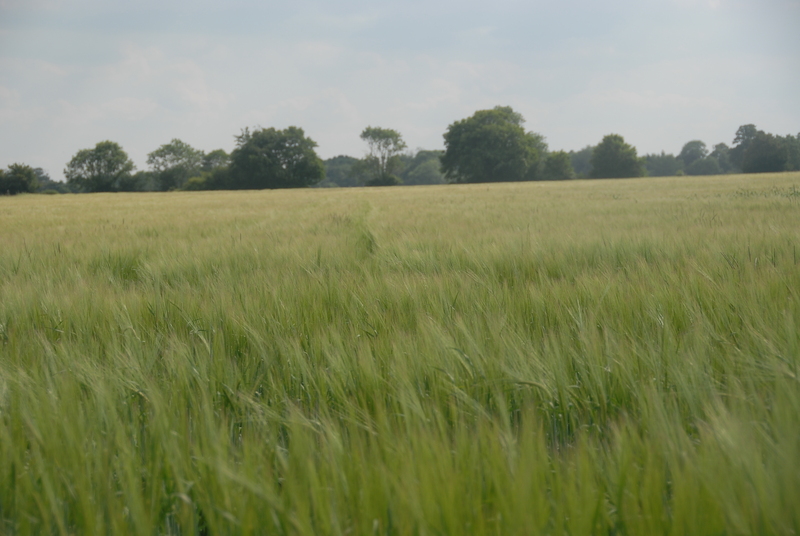 Out in the lanes, the sun shone on the wheat in the fields nearby. The lanes are full of cow parsley and wild roses. 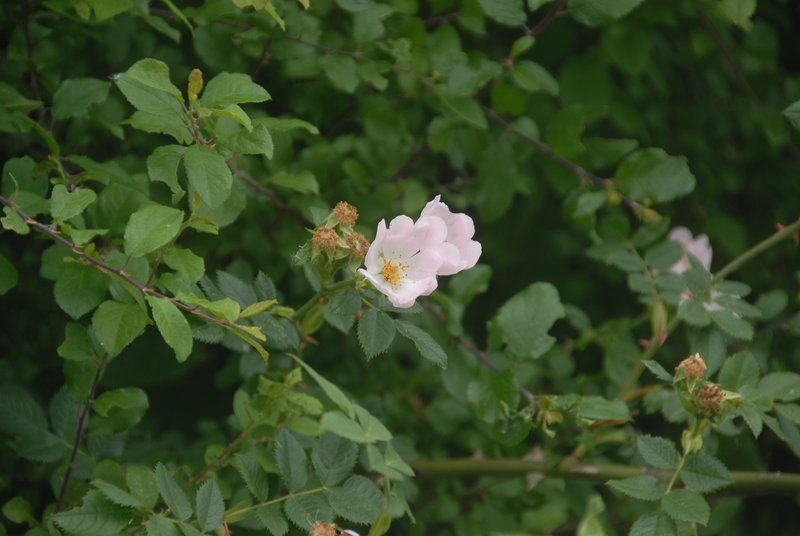 If you’ve ever wanted to tell your dog rose from your field rose (I usually muddle them up), have a look here for a really clear explanation – thanks to A Tramp in the Woods. The swifts are busy nesting in the roof, and there are swallows in the barn. 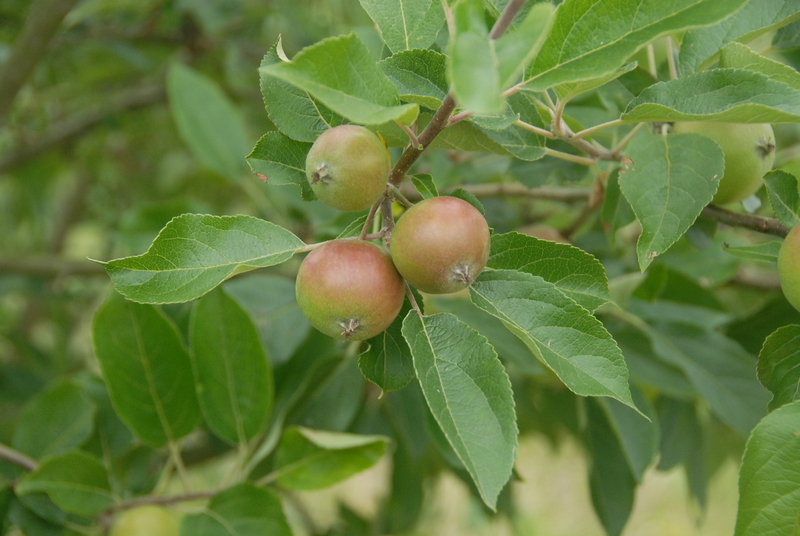 The redcurrants are ripening (which means we need to hack down the nettle bed that has grown up around them if we want to harvest any…) The apples are on their way. 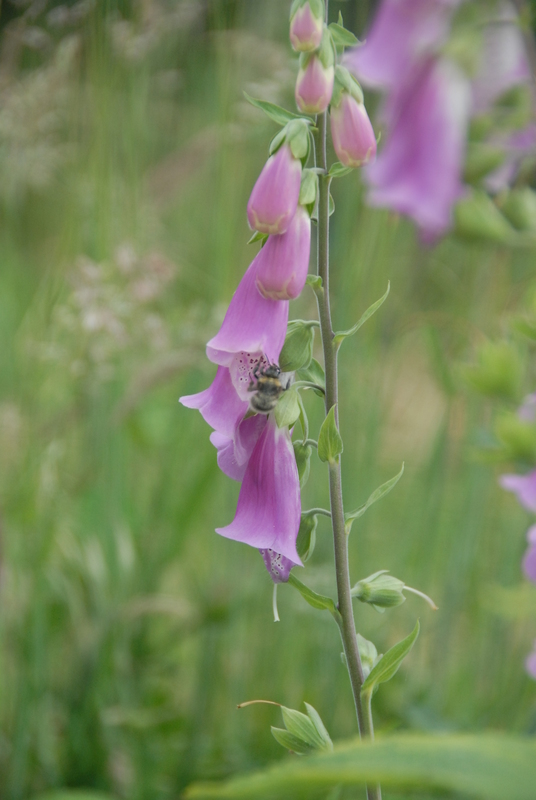 I managed not to look at the weeds in the veg plot, and just ran in to photograph some bumblebees making good use of the giant foxglove that has seeded itself there. Today the sun shone. The pigs spent a lovely half hour lying in their wallow, while the kids chased each other around with the garden hose. 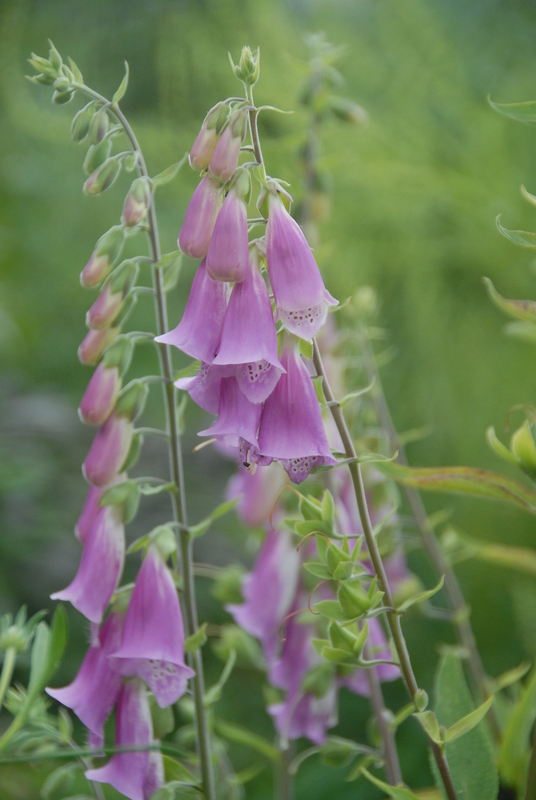 There are heaps of seeds I should have planted and weeds I should have pulled – but that’s OK, it was Midsummer’s Day. Hope the sun shone for you too. Hey thanks for the plug. Never mind the officials, here the sky is still light at ten thirty and the birds start singing around three am. 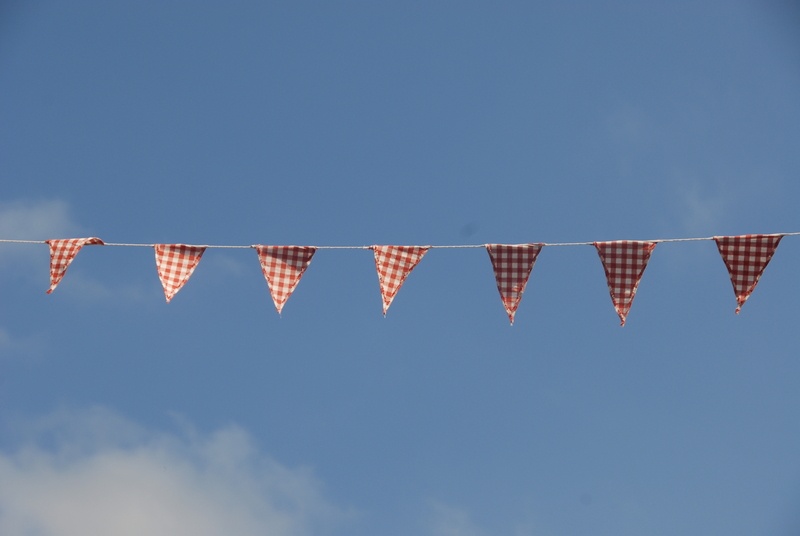 Oh I wish that it could always be summer…. except when it was autumn or spring. 🙂 Your farm looks beautiful. I agree – even tho technically we’ve had the longest day, it really is the start of summer, isn’t it. Thats a lovely celebration post, we had glorious weather for midsummer, but I hate the thought that days get shorter from here, its only just got going! You didn’t need to mention the shortening days. Still, we do have another month of late nights to enjoy before they really start drawing in. Sorry! 🙂 I was actually feeling rather inspired by what the longest day means, as I’d been explaining to the kids, and they were pretty impressed by the fact that we live on a spinning lump of rock, and that the tilt of that rock determines the length of their days!! It made me see if through their eyes, if you see what I mean. And it still feels like we have almost all of summer ahead of us….I hope!